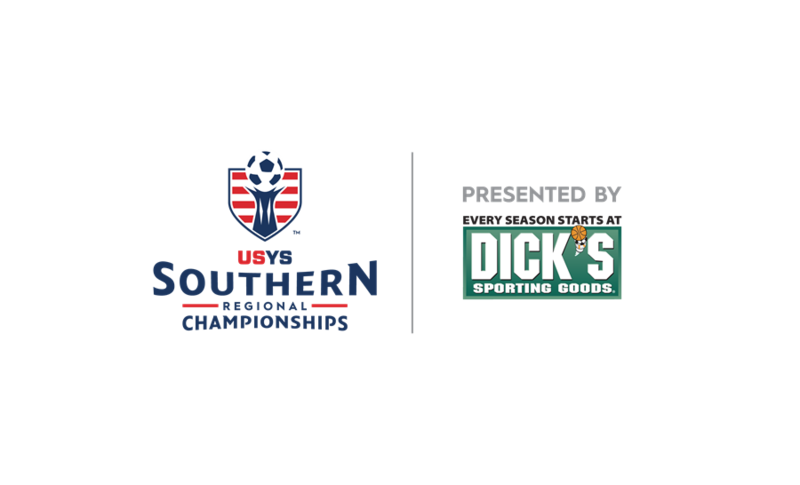 FRISCO, Texas (July 28, 2018) — After several thrilling semifinal games Saturday morning at the Toyota Soccer Center in Frisco, Texas, all final matchups are set at the 2018 US Youth Soccer National Championships. The morning’s excitement will be raised to another level this evening when the champions in the 13U and 19U age groups are decided. Tonight’s championship matches begin at 7 p.m. CT with the 19U Girls final. The 13U Girls finals kick off at 7:15 p.m., followed by the 13U Boys final at 7:30 p.m. and the 19U Boys James P. McGuire Cup final at 7:45 p.m.
Saturday’s finals include the 19U Boys Championship, as FC Golden State White (CA-S) and Baltimore Celtic SC Christos (MD) compete for the James P. McGuire Cup, the oldest and most prestigious trophy in youth sports. The McGuire Cup final kicks off at 7:45 p.m. CT on Field 4 of the Toyota Soccer Center. All 2018 National Championship finals can be seen live online at http://championships.usyouthsoccer.org/live/. 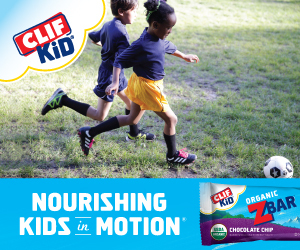 Several teams are one step closer to realizing the ultimate youth soccer dream after securing a spot in Sunday’s final matches with semifinal victories on Saturday morning. Two defending champions — Under-17 Boys Tampa Bay United (FL) and Under-18 Boys Baltimore Celtic SC 00 (MD) — are among the finalists in the Under-14 through Under-18 age groups and will have a chance to repeat as the National Champions on Sunday. Philadelphia SC Coppa Swarm 04 (PA-E) will face Michigan Jaguars 04 Green (MI) in the 14U Girls National Championship final as each team earned wins in tight semifinal matches. Coppa Swarm defeated FC Dallas Blue (TX-N), 1-0, to punch its ticket into the final. After a scoreless first half, Madison Crozier scored her second goal of the tournament to give her team a 1-0 lead early in the second half. Crozier got on the end of a low cross and sent a quick shot inside the right post for the game’s lone goal. The Coppa defense secured its fourth straight clean sheet at the National Championships to punch its ticket into the final. Michigan Jaguars used late heroics to earn a 2-1 (PK) win against CDA Premier 04 (KY). With just three minutes left in overtime, CDA’s Jada Moorman freed herself in the middle of the Jags penalty area and placed her shot just inside the left post to put the Kentucky side in front. However, Brooke Elsey headed in an equalizer for Michigan just a minute later to send the game to kicks from the mark. In the shootout, Michigan converted four attempts to CDA’s two to take the match and earn a spot in the final. There will be a new team crowned in the 15U Girls age group, as Beach FC DPL (CA-S) defeated defending National Champion LVPSA 03 Red (NV), 2-1, in Saturday’s semifinals. Amelia Abusham gave Beach FC a 19th-minute lead, and Sydney Saypack doubled the advantage immediately after halftime. Jacqueline Hillegass pulled a goal back for LVPSA in the 57th minute to set up a tense final 20 minutes. The Nevada side had to gamble by pushing players forward in the closing minutes, but Beach held off the waves of pressure to earn the 2-1 victory. In the other semifinal, Cleveland FC 03 (OH-N) shut out CSA Impact United 03 Black (OH-N) to take a 2-0 victory in a matchup of Cleveland sides. Peyton Cook netted a breakthrough goal for Cleveland FC in the 32nd minute, and Delaney Matriano added a second late in the match to cap the win — setting up a matchup of the two group winners in the final. After some early resistance from Fullerton Rangers 02 White (CA-S), La Roca-FD 02 (UT) pulled away for a 5-0 semifinal win. Caroline Stringfellow scored the opening goal of the match in the 49th minute, and she finished with a hat trick and assist to help propel La Roca’s second-half explosion. Brynlee Meyerhoffer and Whitney Lopez also added goals for the Utah side, which advances to the championship game after falling in the semifinals last year. La Roca will meet SJEB Rush 02 Academy Blue (NJ) in the final after the New Jersey side defeated Legends FC 02 Academy (CA-S), 3-1, on Saturday. Mackenzie Clement and Amanda Attanasi each found the back of the net to give SJEB a 2-0 lead after 30 minutes. Jasmine Young quickly pulled back a goal for Legends, and the game remained a one-goal affair until the final minutes. With Legends looking to equalize, Attanasi put the game away with a late goal to seal the 3-1 victory for SJEB. FCKC Academy Blues Elite (MO) and Rebels 2001 Elite (OH-S) will face off in the 17U Girls National Championship game. This will be a rematch of a group play game between the two teams that FCKC won 3-2. FCKC advances after defeating TFA Elite 01 (OH-S) 5-2 in the semifinals. Lily Farkas scored in the 17th minute off an assist from Taylor Reid and Madilyn Hamline followed with a goal just two minutes later to give FCKC a 2-0 lead. Farkas scored her second goal of the game with two minutes left in the first half to give FCKC the 3-0 halftime lead. Madelyn Pittman scored two early second half goals to cut TFA’s deficit to one. Hamline scored a hat trick with two more goals in the second half to give FCKC the 5-2 win. The Rebels advance after winning 1-0 against Rebels 2001 Elite-Marquez (CA-S). The lone goal of the game came off a header from Rylie Curran in the 33rd minute. Campton United (IL) will face Sunrise Sting 2000 (FL) as both teams earned clean sheet victories in their semifinal matches. Campton, in its third Nationals appearance, earned a 1-0 victory over Princeton SA (NJ) to send it to its first National Championships final. Neither team could find the back of the net in the first half, but Campton’s Claudia Najera broke the deadlock in the 59th minute. Najera took a shot from the top of the 18-yard box and sent her strike to the upper left net, out of reach of the Princeton goalkeeper. Campton’s defense held to the final whistle and the Illinois side advances to the final and has only allowed just one goal against in the process. Sunrise Sting earned a 3-0 victory over CDA Premier 00 (OH-S) to make the most of its first trip to the National Championships by advancing to the 18U Girls final. After a scoreless first half, Chloe Laureano broke the score open for Sunrise in the 57th minute of play. Sunrise didn’t wait long to increase its advantage as Alexis Diaz Silveira scored just seven minutes later. Southern Regional Championships age group leading goal scorer, Cydni Turner, added the game’s final goal in the 82nd minute to put the final stamp on Sunrise’s ticket to the National final. Real Jersey FC (NJ) and Nationals Union 04 Black (MI) each earned shut out victories to set up a 14U Boys National Championship final between the two group winners. Real Jersey booked its spot in the final by defeating ECFC Salinas United 04 (CA-N), 3-0. Real Jersey set the tone of the game early as Tyler Davidson found the back of the net in just the 3rd minute of play. Cade McGrath increased the lead to 2-0 midway through the second half and then Real Jersey’s Ryan Kuldanek sealed the game just three minutes later adding to make it 3-0. Nationals Union 04 Black (MI) took the lead over Sporting BV SKC Academy 04 (KS) on a 5th minute Jake Urstitti goal. Nationals’ Zacahary Hoyumpa double the advantage in the 17th minute to increase the Michigan side’s lead to 2-0 heading into halftime. Ursitti added his second goal early in the second half, and then age group leading goal scorer, Devin Hernandez, finished the scoring with a goal in the 56th minute. In a repeat of the 14U Boys 2017 National Championship final, Beadling Elite came back to defeat defending champions, USA/MP 03 Premier (SC), 2-1, to punch its ticket back to the finals. The lone first half goal came from USA’s Ted Van Thullenar giving the South Carolina side a 1-0 advantage heading into halftime. Beadling leveled the score in the 49th minute as Ethan Sanders found the back of the net. As the second half moved forward, Beadling earned a penalty kick with a chance to take the lead. Sanders stepped up and finished the chance to give Beadling the lead with 13 minutes remaining. USA looked for a response but the Beadling defense held strong to earn its way back to the National Championship final. Beadling will face LVSA 03 Silver (NV) who defeated OK Energy FC Central 03 (OK), 2-0 – earning its third clean sheet of the event. A goal in each half powered LVSA to its victory. Jesus Vega scored just over halfway through the first half to give the Nevada side a 1-0 lead heading into the break and then Gabriel Miranda doubled the advantage in the 54th minute pushing LVSA’s lead to 2-0. OK Energy couldn’t figure out the opposing defense and LVSA earned the 2-0 win. The win sets up a day three rematch between Beadline and LVSA where the two teams played to a 1-1 draw. 02 NCFC Elite (NC) and Arlington SA 2002 Red (VA) match-up in the 16U Boys final after each earning close semifinal wins. NCFC remains the only team remaining in the division with a perfect record after its semifinal victory over National League Black Division winner Washington Premier 2002 Black (WA). The game’s lone first half goal ended up being the game winner as John Alexander added his third goal of the tournament to give NCFC a 1-0 lead. NCFC’s defense held Washington’s attack at bay and the North Carolina side held the 1-0 lead through the final whistle to punch its spot into the finals. NCFC has won each of its game’s by a one goal margin, showing it has the will and ability to win in close games. In the other semifinal, Arlington came back to defeat Solar 02 Stricker (TX-N), 2-1. After a scoreless first half, Solar’s Skyler Stricker gave the North Texas side a 1-0 lead in the 62nd minute. Arlington battled back and equalized in the 73rd minute thanks to a Garrett Ross goal. Ross completed the comeback as he scored in the final miute of regulation time to push Arlington passed the defending champs and into the 16U Boys National Championship final. Tampa Bay United (FL) and Galaxy 2001 Blue (IL) will face each other in the 17U Boys National Championship final match, making it the two teams’ second meeting of the week as Tampa Bay defeated Galaxy, 3-1, in group play. Defending National Champion Tampa Bay made it back to the final after earning a 1-0 win over Oklahoma Energy FC 01 Central (OK) in Saturday’s semifinal. The only goal of the match came in the 30th minute as the ball was brought down the middle of the field and laid off for Joshua Colledge, who netted the ball from a tight left angle. On the other side of the 17U Boys age group, Galaxy had to fight off and defend a technical PPA KSA 01 Pro-Profile (GA) to claim a 2-1 victory. Galaxy struck first when Ty Konrad sent a long free kick from midfield into the mix of players, and Cameron Strang was there to poke the ball in. The lead didn’t last for long as KSA retaliated six minutes later when the goalkeeper blasted a drop kick to catch the Galaxy defense on the counter attack. KSA’s Deedson Vixamar laid the ball off for Carl Henry Desir to strike into the upper net. The game winning goal came for Galaxy 17 minutes into the second half when the team pulled the same play as its first goal. After Konrad launched the ball into the box from midfield, the ball bounced off of a KSA defender, which set Kyle Blasingame up perfectly to volley the ball into the net. Downtown LVSC 00 Academy (NV) will face defending National Champions, Baltimore Celtic SC 00 (MD) for the second time this tournament, as both teams won their semifinal matchups 2-0. Age group leading goal scorer Justin Gielen scored a goal in each half - off assists from Benjamin Stitz - to help lead Celtic back to the National Championships final. The win is Celtics first clean sheet of the tournament and sets up Celtic with a chance at redemption after losing to Downtown, 3-1, in the last day of group play. Downtown LVSC advances to the final match after defeating Group A runners-up, West Coast FC Armour 2000 (CA-S), 2-0. Downtown and West Coast went into halftime tied 0-0 but the deadlock only lasted partway through the second half. Downtown’s Corrigan Neville scored in the 57th minute off a curling left footed shot to give the Nevada side a 1-0 lead. Niko Dongmann doubled the advantage just over ten minutes later as he finished close range to give Downtown a 2-0 advantage with just over 20 minutes to play. West Coast couldn’t breakdown the Downtown defense and the game ended 2-0. Downtown will now look to repeat its success against Baltimore in the group stages and the Maryland side will fight for a chance to leave as repeat National Champions.